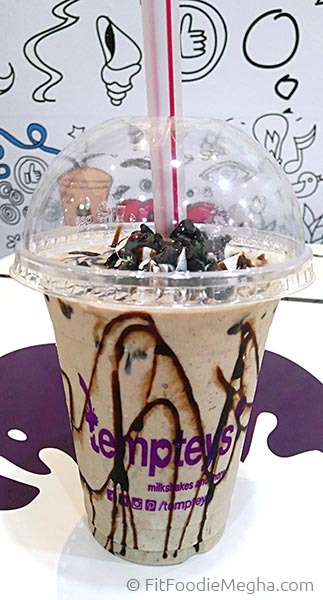 Fit Foodie Megha: Tempteys – A complete Milk Shake Bar — Reviewed! I am not a milkshake fan and when the review is coming from a person like me, you should take it seriously! Hehe. 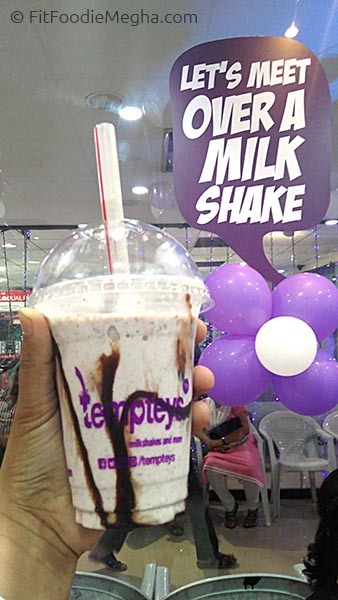 So, when I heard about Tempteys, a Hyderabad based milkshake brand is launching in Pune, I was bit skeptical about my visit (Hate Milk!). But when I went through their menu and the concept on the website, found it quite appealing and was curious to try the place. 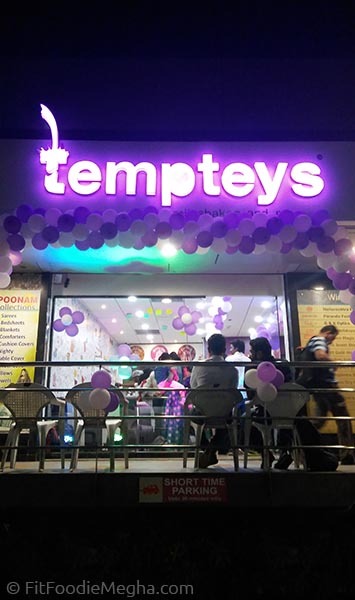 Located in the Town Square Mall, Viman Nagar, Tempteys is quite close to the airport. 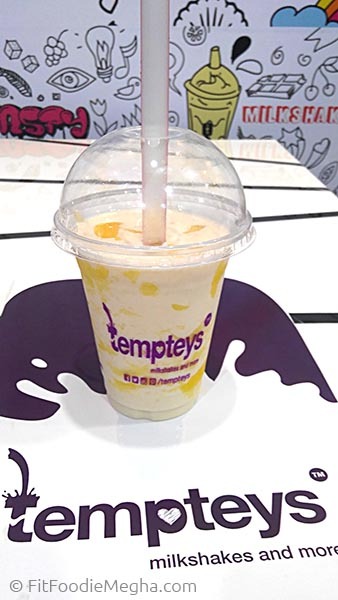 Tempteys, a complete Shake Bar, satisfy the sweet tooth cravings ranging from Classic shakes to Premium and Exclusive Shakes. Thick shakes are proper 'Thick'. One portion is enough for an individual. 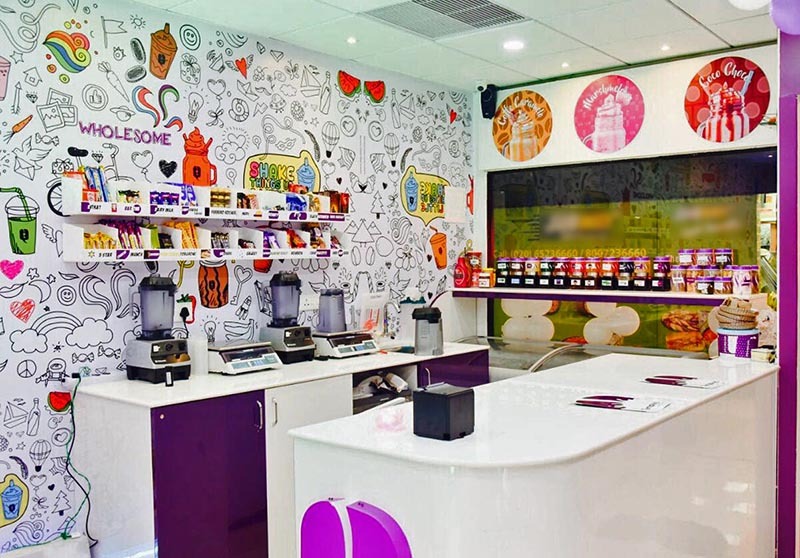 First of its kind, ice cream bases called Gelato and Avalanche (yoghurt base) with a delicious combination of shakes lined up from local fruits to international fruits, chocolates also with custom made brownies and cakes. Avalanche blend well with the fruits most. The process of making the Gelato and Avalanche is authentic Italian with results in prefect yummy shakes! The bases are self-manufactured using advanced equipment & machinery. The staff was helpful. Since, they have newly launched, service might be an issue but I am sure they will soon cope up with the demand. 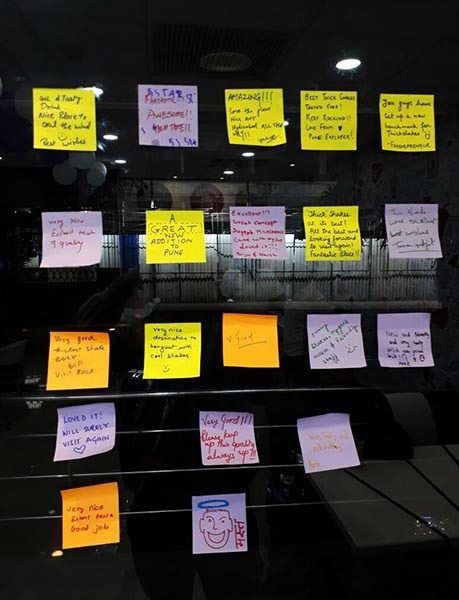 The ambience is soothing with the doodle wall which offers peaceful and elegant atmosphere to all the customers. Products are divided into different categories ranging from the good old Classic to Premium to Exclusive and even extends to health shakes. Best part? 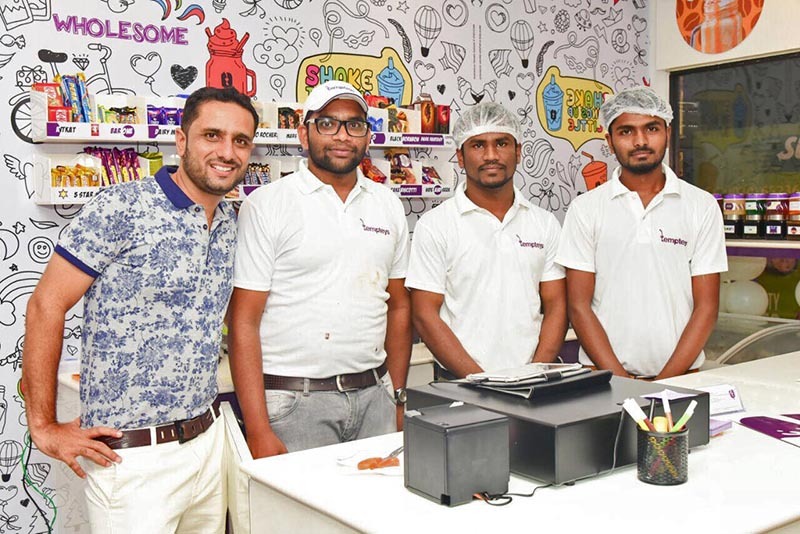 The ice creams and the brownies used in the shakes are made in-house, hence the quality is assured! 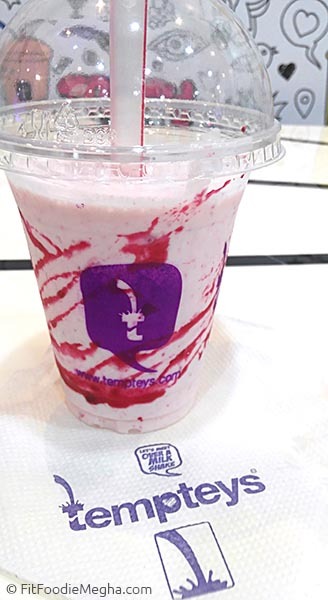 Started off with the Raspberry milkshake (Rs.130) with the avalanche or yoghurt base. A perfect blend of raspberries and store made ice-cream topped with berry syrup. One can actually taste and feel the raspberries. So refreshing and highly recommended! Ripe Mango, mixed with ice-cream and topped with mango crush was the Mango Moon (Rs.130). Had perfect sweetness and a bang on taste of mango. Loved it. When in doubt, order chocolate! And combined with hazelnut is my favourite combination (Rs.185). Ordered it from their 'Exclusive Shake' range. Blend of choco hazelnut and ice-cream, topped with whipped cream, choco syrup and wafer roll. 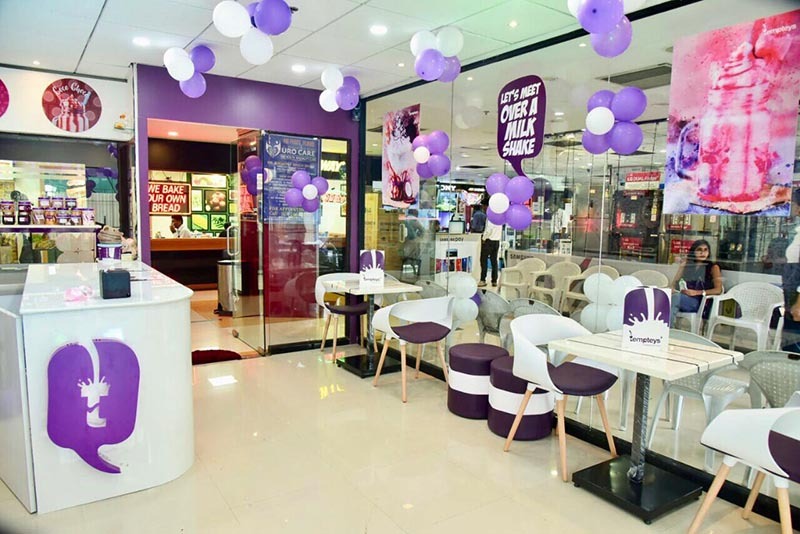 Oreo Minto (Rs.160) was next to be tried. Awesome marriage of crunchy oreo and freshness of mint was lip-smacking. However, it had mild mint flavour. I wouldn't mind more of it! Who doesn't love Ferrero Rocher (Rs.185)? And mixed with in house ice-creams, topped with whipped cream. Oh so awesome! Total indulgence. Highly Recommended! Being a coffee lover, I had to try the Coffee shakes. 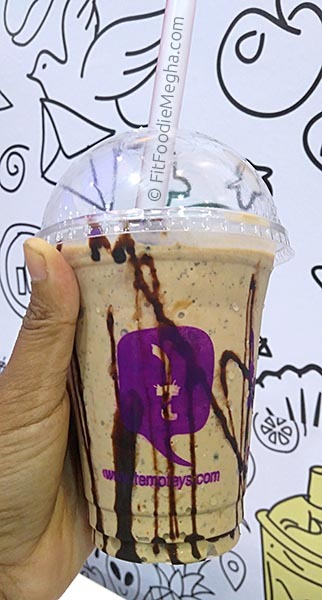 With so many amazing blends, I opted for Coffee Brownie (Rs.160). This shake had a real strong aroma and flavour of coffee. With first sip, it was super tempting! This is one of my top favourites and will again for this and more! Overall, a fantastic experience. 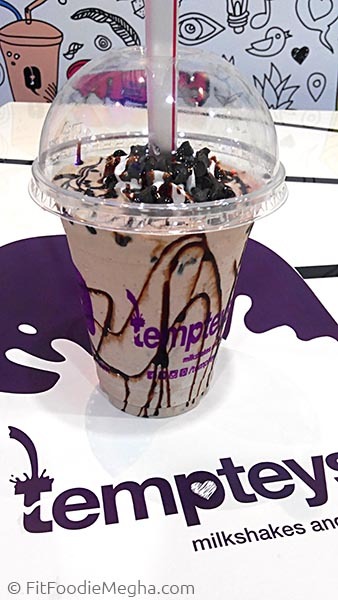 I am glad Tempteys made it to Pune. Just wishing they could have more outlets so that each one can indulge in the world of taste! I will highly recommend this place to everyone.